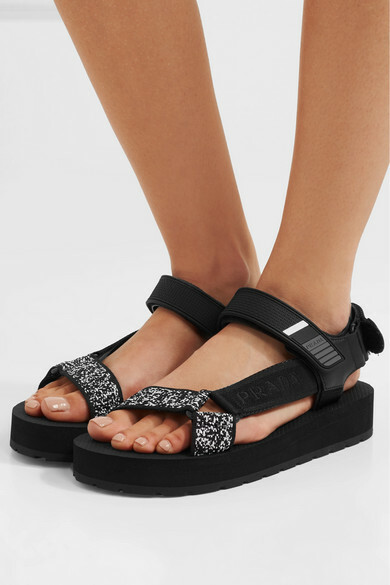 Inspired by '80s hiking sandals, Prada's version falls somewhere in-between high fashion and functional. 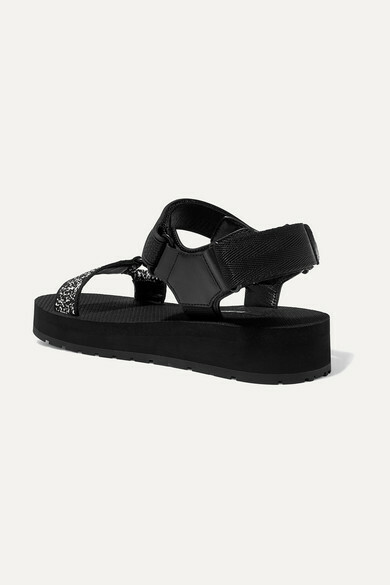 Made in Italy, these chunky ones are grounded by rubber platform soles, making them comfortable and easy to walk in. 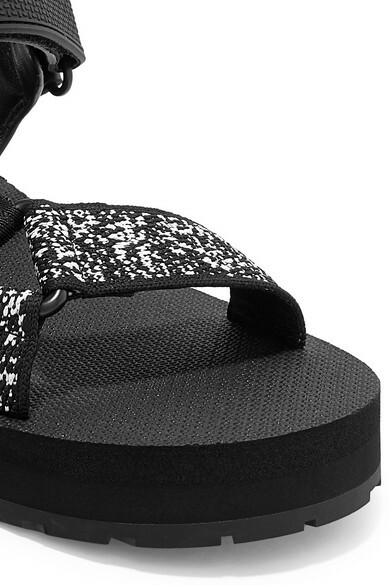 The monochrome canvas straps frame your feet, and the logo-detailed Velcro® tabs can be easy adjusted for the perfect fit. They'll look cool with tailoring, but equally great with summer dresses and shorts.